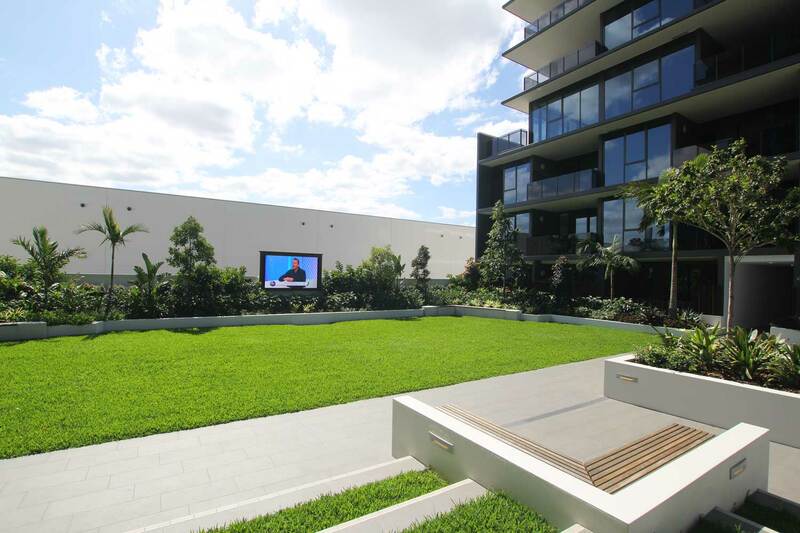 VuePix Infiled’s ER screen has been installed in the outdoor entertaining area of the Newstead Series – North project in Brisbane, providing the residents a true outdoor cinema experience in their own backyard. The ULA Group team worked closely with the developers to specify the right technology for their concept of an outdoor entertaining area. 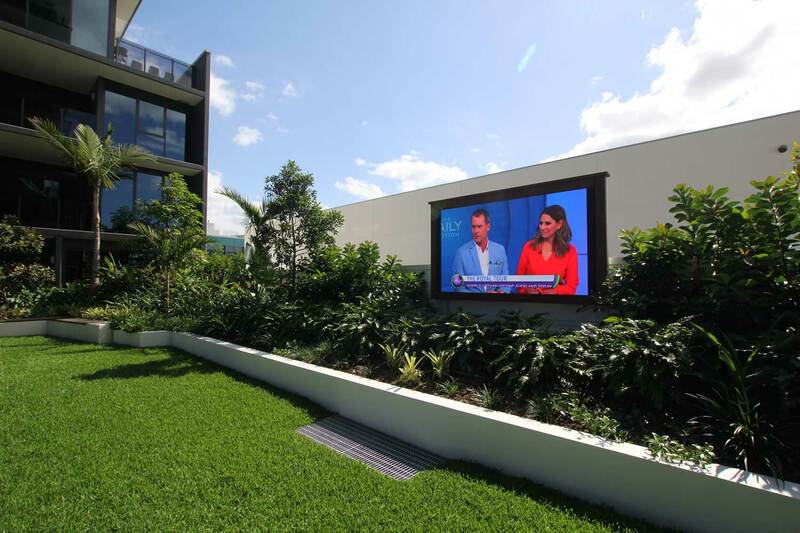 The VuePix Infiled ER outdoor 3.9mm screen has been mounted on the wall with a classy wooden frame finish, to complement the subtropical gardens within the complex. Offering a great brightness of over 5000nits and outstanding contrast ratio, the screen delivers superb visuals even when exposed to the direct sunlight. The LED panels are purposely built to withstand outdoor environmental factors such as varying temperatures, direct UV rays and severe weather conditions. The system allows live control and remote management of all key functionalities, with minimal service requirements. for all the residents of the complex and their guests. 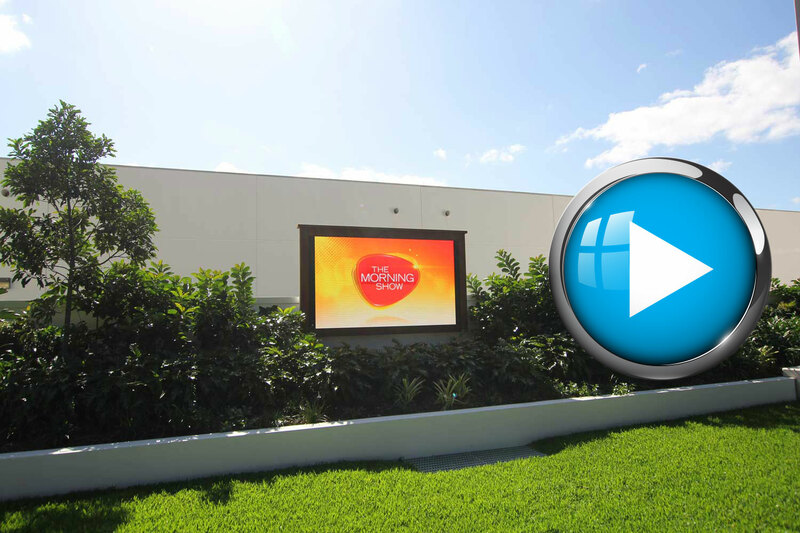 The VuePix Infiled screen has become a brilliant new entertainment centrepiece for all the residents of the complex and their guests. Located only two kilometers from the heart of Brisbane, the historic Newstead has transformed over the last few years from a semi-industrial and wool store area to a vibrant inner-city residential destination. It is now one of Brisbane’s most exciting, modern living precincts. Newstead Series comprises four boutique buildings, offering luxurious living. The Newstead North complex provides the residents exclusive apartment living with exceptional outdoor entertainment facilities. These features include alfresco BBQ dining areas, outdoor cinema, subtropical gardens, large exercise green and heated swimming pools.